The popular peer-to-peer car sharing marketplace Turo removes a lot of the pains associated with renting through a traditional rental car company. Renting with Turo is often cheaper and the platform is super easy to use, but renters should be aware that there's a significant difference in how Turo's insurance works that may present a downside for some renters. The most significant difference between buying insurance from a major rental car company and buying insurance through Turo is the collision coverage. 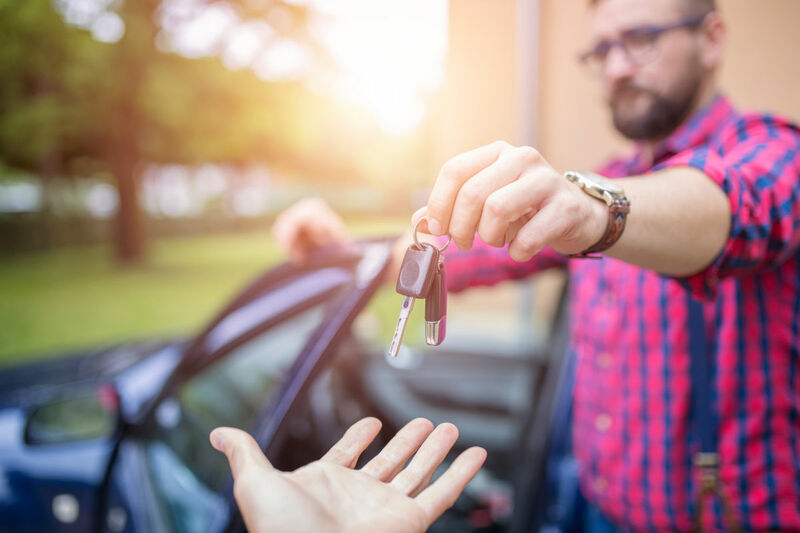 When you rent a car through a traditional rental car company, you may routinely decline collision coverage because you are already covered through your personal car insurance or through your credit card benefits. This practice may not hold up when renting through Turo. Most personal auto insurance policies will extend to a Turo rental just as they would cover a car rental through a traditional rental company, Be sure to double check your coverage and deductible before declining Turo's insurance options. In notable contrast, credit card companies virtually never extend coverage to Turo rentals. If you don't own a car or have personal auto insurance, you should not decline coverage with Turo. When you book your rental, Turo offers four insurance options. The first two are insurance plans provided directly by Turo through Liberty Mutual, where the cost is calculated as a percentage of the car rental rate. Premium Plan: This plan covers physical exterior damage—not mechanical or interior damage—to the car up to its actual cash value plus liability coverage up to $1,000,000 for bodily injury and property damage to third parties. Your out-of-pocket deductible for physical damage is capped at $500. You also get the state minimum coverage for Personal Injury Protection and Uninsured/Underinsured Motorist coverage as required by law. If the state in which you're renting has no such minimums then these coverages don't apply. This plan costs 40 percent of your rental price. So, if the rental rate is $100, adding the Premium plan would increase the price to $140. Basic Plan: This plan covers physical damage to the car you're driving up but not beyond to its actual cash value. Again, coverage applies only to external damage to the car, not mechanical or interior damage. The plan provides liability coverage up to the minimum state requirements. Your out-of-pocket deductible for physical damage is limited to $3,000. This plan costs 15 percent of your rental rate. So, if your rental costs $100, adding the Basic plan would increase the price to $115. Commercial Host Insurance: Certain Turo hosts (car owners) provide insurance separate from Turo's protection plans. Commercial hosts provide collision and liability coverage directly to guests and may require you to sign extra paperwork. In this case, hosts are required to provide you with policy details and damage claim processes at the time you rent the car. Decline Coverage: If you choose this option, there is no collision protection and liability coverage only up to the minimum state requirements. Choose this option only if you are certain that you are already covered through your personal auto insurance policy. Otherwise, your financial responsibility is pretty much unlimited, bound only by the actual cash value of the car and any costs associated with the claims process. You may wonder why on earth a car owner would rent a car to someone who declined insurance. Turo offers vehicle owners their own protection plans in case the vehicle is damaged during the rental period. This covers physical damage up to the actual cash value of the car, a replacement vehicle while the car is being repaired, and $1,000,000 in liability coverage. Liability protection will pay for damage you do to others' vehicles or property. Turo only provides secondary liability coverage, meaning that it only kicks in once any existing coverage you may already have is exhausted. In other words, your own auto policy's liability insurance will cover you but you should check the limit before you rent. If you purchase Turo's Premium Plan, you'll have $1,000,000 of liability coverage for bodily injury and property damage to third parties. If you choose the Basic Plan or elect to decline coverage, you'll get liability coverage up to the minimum required by the state in which you are renting the car. If you're at fault in an accident, you'll be charged an initial fee. If you chose the Premium plan, you will be charged $500. If you chose the Basic plan or declined coverage, you will be charged up to $3,000 and no less than $500. All or part of these charges may be eventually refunded depending on the details of the incident. Turo will let you know your charges within 24 hours of the claim becoming eligible. Prefer to rent with a traditional car rental company? AutoSlash scours the web for coupon codes and applies your memberships so that you get the best rate possible.